Global tablet sales will nearly double in 2012 from just a year ago, Gartner Inc. researchers predicted today. Gartner’s latest forecast is for tablet sales to hit 118.9 millionunits this year, a 98 per cent increase over 2011 sales of 60 millionunits. 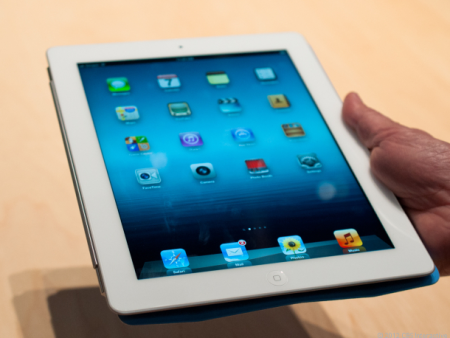 Apple’s iPad will continue to leadworldwide tablet sales in 2012, Gartner predicts. Although Amazon’s Kindle Fire has been taking a bite out ofApple’siPad sales, Gartner says Apple will continue to dominate the globaltablet market with a projected 61.4 share in 2012. But Windows tabletswill likely see a bump up in sales from a 4.1 per cent total marketshare in 2012 to 11.8 per cent by the end of 2016 as Windows 8 isfinally released, Gartner’s report adds. The biggest shift happening now is that enterprise-focused tablets arebeing forced to become more consumer-oriented due to the BYOD(bring-your-own-device) trend, according to the report. That’s becausepeople want tablets that are easy to use and have many non-workfunctionalities and apps that can be used outside the office, Gartnersays. “This poses a big threat to vendors that thought about focusing on theenterprise market who will now have to become appealing to consumers aswell,” says Gartner vice-president Carolina Milanesi in a news releaseon the study. “This is exactly the same trend that vendors such as RIM (Research inMotion Ltd.) had to face in the smartphone market. The difference hereis that tablets have been created for consumers first and then reliedon an ecosystem of apps and services that make them more manageable inthe enterprise,” Milanesi adds.